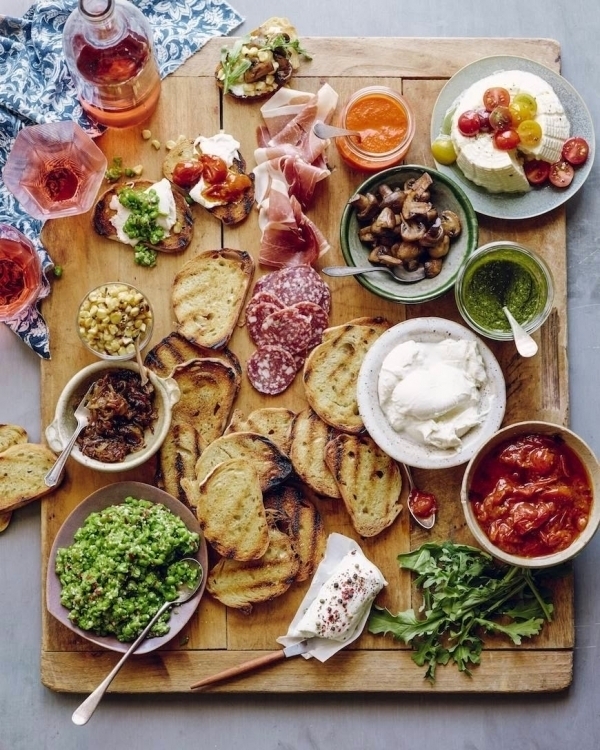 Tapas Table — Driana Foods Inc.
A Charcuterie Board is a great conversation starter the self-serve board gets people at ease and people comfortable in your home. Cheese: is no more that 3 cheeses: One sharp and aged like a Manchego and one creamy like a goat, or ricotta or brie and a stinky one like blue cheese, stilton. Nuts Almonds or Pistachios are best. Olives a variety like Kalamatas, spanish queen, manzanilla and a calvestrano. The briney component of the olives, or capers compliment it well. Something Sweet like a fig Jam, Quince Paste or Membrillo Paste. Sauces or Dips, hummus, guacamole or Mojos of Course! Place your Tapas Board in the middle of the Table and then the other tapas around it. It makes a great center piece.